Part 123: High Priest. 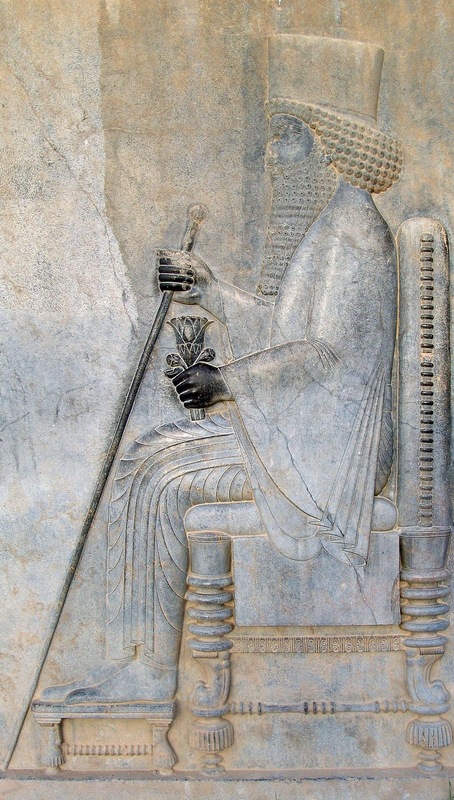 When we think of the High Priest of the temple in Jerusalem, we think of someone who was from the Levites and was chosen by God to serve in the position of High Priest, fulfilling the duties of ordering the worship life of the Temple and leading the kingdom of Israel in an ongoing and faithful relationship with God. We think of someone divinely chosen and independent of politics. Unfortunately, this is a mistake. First, the High Priest WAS a political position as much as it was a religious one. The ancient world did not make any sort of distinction between the political and the religious spheres. That distinction is, strictly speaking, a modern one. This is extremely important to realize. The high priest was not just in charge of religion, but also of law. The TORAH was not just religious law, but the LAW of the land. Second, the High Priest in the time of the Roman occupation became more of a political role than it was religious. This may sound scandalous and, if you are thinking that, you are absolutely right. It was scandalous. By Jesus’ time, some groups such as the Essenes had left Jerusalem and went out into the wilderness to live. They believed that the corruption of the office of the High Priest, and the ultimate corruption of the Temple, were signs of the end times. Thus, they waited in the wilderness for the Messiah to come, ready to join the holy war when that time came. The first high priest to be appointed under the newly formed Roman province of Iudaea (aka Judea, pronounced Yoo-dee-ah), was Annas in 6 CE. What’s more, Annas was appointed to that position by Quirinius, the Roman legate governor of Syria. You read that right! A Roman aristocrat and politician appointed Annas as the High Priest of Judea. I am sure you can now see why groups like the Essenes “got out of Dodge” and headed for the wilderness hills. Annas’ was deposed as High Priest in 15 CE at the age of 36. With that said he held great influence of the Sanhedrin (the Jewish Legal Council made up of priests) through his sons who succeeded him in the role of High Priest. First, his son Eleazar succeeded him and was High Priest for one year (16-17 CE). Following Eleazar was Annas’s son-in-law, Caiaphas. He was High Priest from 18-36 CE and was the High Priest who plotted to have Jesus handed over to the Romans to be crucified. As you can see, there were major politics at play here in the first century. We Christians like to pretend that everything Jesus did was “spiritual” and not “political”; however, this simply was not true. By accusing the High Priest of hypocrisy and corruption, by violently overturning the tables in the Temple, Jesus was intentionally upsetting the political and the religious order simultaneously! This should challenge us as Christians. We often choose to remain silent on issues because we don’t want to be “political”; however, our silence is just as political as speaking out. In fact, when we don’t speak out we stamp our seal of approval on whatever it is that is going on. We ought not be afraid of upsetting the political or the religious order. If what is going on is wrong, we ought to take a stand against it. Our Lord did no less. We ought to carefully steer away from the status quo, which the High Priests were holding fast to for their political gain and power, and draw close to Jesus who would have us interrupt the silence for the Kingdom of God. Damning are the politics of silence. Lord, give me courage to interrupt the silence. For I know you are with me and strengthen me. You are my rock and my redeemer. Amen. 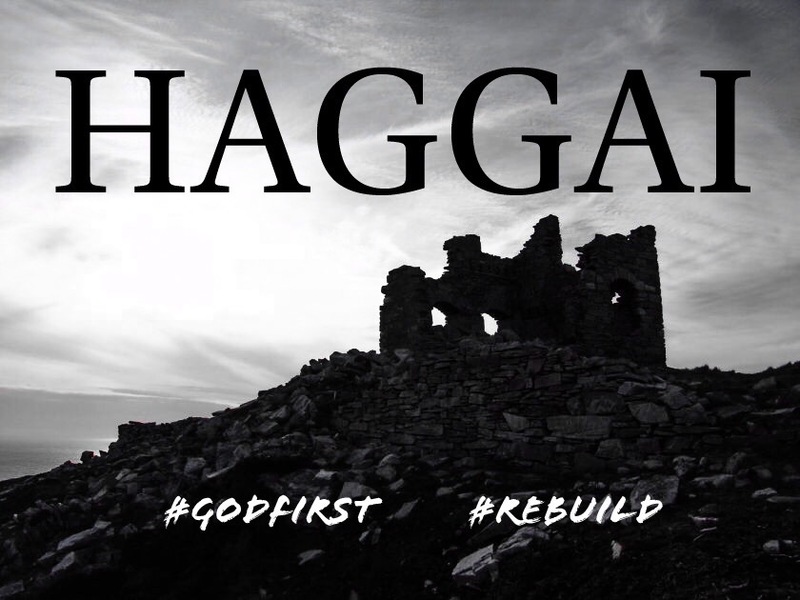 Part 107: Haggai. In order to understand Haggai’s prophecy, one really needs to understand the historical and religious contexts that it was written in. As with all of the books in the Bible, Haggai was not written in a vacuum. In fact, Haggai lived and prophesied at the same time as Zechariah. Malachi lived and prophecied about a century later. Ezra was also a contemporary of the prophet and wrote of him and Zechariah being influential in the rebuilding of the Jewish Temple following their return from exile. Let us look at the context surrounding Haggai’s prophecy. The year was 520 BCE, sixteen years after the Jews were first allowed back frome exile to Jerusalem. If you recall, this was put forth into motion under the Persian king Cyrus the Great, who was regarded by the Jews as God’s anointed king, the messiah. You will also recall that upon sending them back to their homeland, Cyrus commissioned them to rebuild their Temple to their God as well as to rebuild Jerusalem. Sixteen years later, the Temple still had not been built. Upon returning home, there was a dispute between the Jews who returned and “the local residents” in Jerusalem. The dispute arose over who should have a part in rebuilding the Temple and how that Temple should be built. Thus, the Temple building campaign was halted for sixteen years. It is this that Haggai was addressing. He found it egregious that God’s Temple lay in ruin, while the people of the land regained their homes and their prosperity. God had come through for them, how could they not come through for God. The issue is less to do with a temple building itself and more to do with faithfulness to God. Were the Jews who were liberated from Babylon/Persia going to remain loyal to God, or were they going to fall right into complacency? What’s more, Haggai was calling them out on not having the moxy to stand up to the dissenters and do what they had been commissioned by God’s anointed king, Cyrus, to do. By the way, it is important to note that Haggai is not the only book in the Bible to record these disputes. They are recorded in Ezra and also Zechariah. In fact, in the latter book, the “local residents” or “the people of the land” were opposing the governor Zerubbabel and the high priest Yeshua. The opposition against them rose up after they listened to Haggai and Zechariah and decided to move forward with the Temple building campaign. 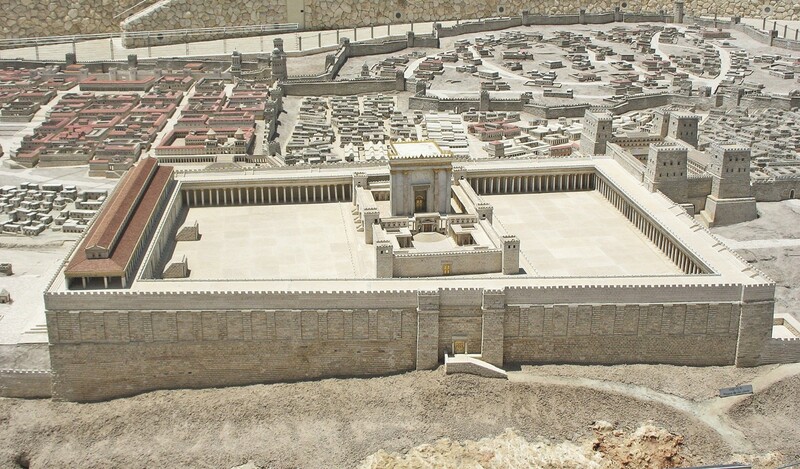 To do so, they rejected the “people of the land’s” request to build the Temple and placed the building of the Temple in the hands of the ones who had been liberated from exile. This caused an irrevocable division between the liberated Jews and “the people of the land”. As a result, the latter group eventually split off and built their own Temple on Mt. Gerizim near Shechem. These people, by many scholars, are believed to be the Samaritans and it is during that time where bitter enmity built up between the Judaeans and the Samaritans. That enmity would carry on for centuries, and would be included in some of Jesus’ own teachings (e.g. the parable of the good Samaritan). In fact, it was in the region of Mt. Gerizim that Jesus converses with the Samaritan woman in John 4. Thus, we can see how this short prophetic book by Haggai had such a profound impact on shaping what would go on to be known as the Second Temple period in Jewish history. It was during this time that the One who IS GOD’s Messiah, would live, teach, die and resurrect in FULL GLORY. This only happened because the God’s people humbled themselves and listened to the warnings of God through the prophet Haggai. They were willing to meet human resistance head on in order to remain loyal to God their LORD. We are faced with the same charge, to remain loyal when the people of the land are calling us to do things differently than God would have us do. Will we heed God’s warning and build a SANCTUARY for all people, or will we follow the divisiveness of Satan, which is calling us to do things in a way that appeases the current world order? Reflect on this honestly; choose this day, and all days, whom you will serve (Joshua 24:15). Lord, steer me along the right path and give me the courage to remain loyal to you at all costs. Amen. Wow, can you believe Holy Week is here already? 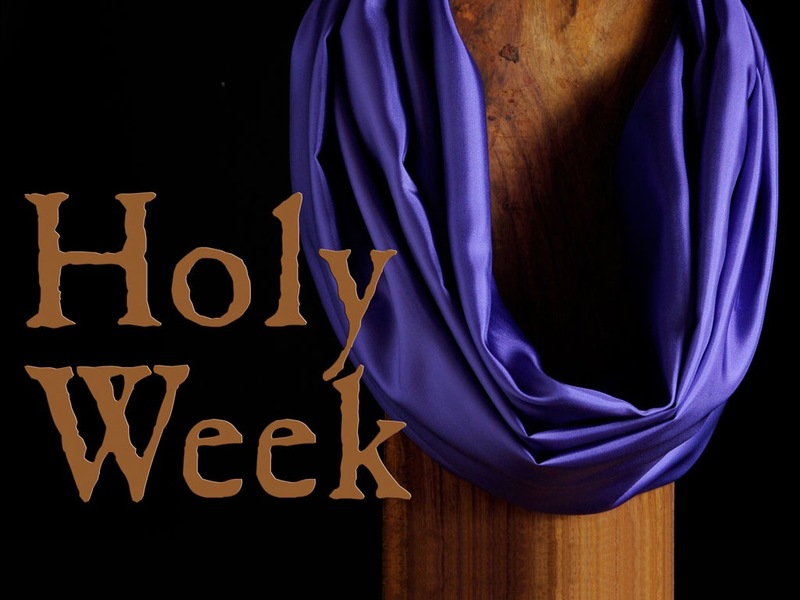 Lent has flown right on by and we now find ourselves in the midst of the holiest week in the Christian calendar. Take this time to reflect on this day within holy week as you read through a devotion I wrote during holy week a few years ago. Click here to begin today’s deovtion. The mob rules, does it not? We all know about “mob mentality” and how it is really a force to be reckoned with. We have seen on the news how people in mobs can do some crazy, scary and unimaginable things. I instantly think of Beauty and the Beast, when Belle magically shows her fellow villagers the beast through her enchanted mirror. Once the villagers see him, once they lay eyes on him, terror over comes them. Seizing the moment, Gaston pulls out his sword and begins to sway the crowd to follow him in killing the beast. Of course, Gaston is successful and they do, indeed, take up arms and follow him. 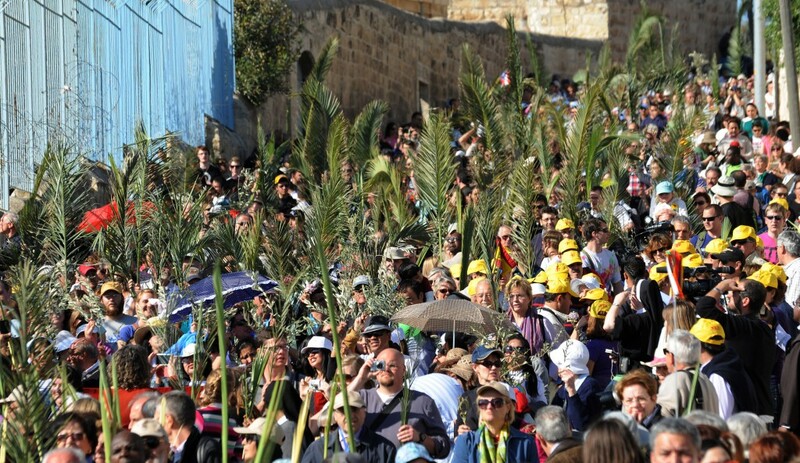 When we think of Palm Sunday, we see such a fickle crowd. They were looking for a hero, for anyone, to come along and claim the role of Messiah. So, when Jesus comes (intentionally and prophetically) riding in on a donkey, the crowd was there and ready to hail him as king. “Hosanna, hosanna!” The crowd roared with excitement, “Blessed is the One who comes in the name of the Lord! Hosanna, hosanna!” But was it the Lord they were praising, or was it their idea of the Lord? Without being too critical or judgmental, they had good reason to hope for their idea of the Lord. After centuries of subjugation and oppression, they were longing for God to come and liberate them. This “king”, however, was not going to live up to their hopes and expectations; rather, this “king” was going to ride into the city, head to the Temple and start turning stuff, quite literally, upside down. Jesus’ first move as the crowd-proclaimed “king” was to go into the heart of Jewish worship and call out the religious leaders of his day and age. This is a far cry from the anti-Roman Messiah that everyone was hoping for. That’s not to say Jesus was pro-Roman. No, not at all. He was pro-Jewish without a shadow of a doubt and it was from that passion for his people, and his God, that Jesus acted out in anger toward a temple and its leadership. As a result, the fickle mob changed its opinion of this Jesus and went from proclaiming him “king” to handing him over to Pontius Pilate as a criminal and a traitor. We too, like the Temple, get corrupted by the surrounding world and its influences. We may be the church, we may be Christ’s community of faith, we may be proclaiming Jesus to be the Son of God; however, does Jesus meet up to our hopes and expectations? Will Jesus come in and champion our “Christian” cause, will he love our theology, and uphold our rigorous doctrines? Or, like he did in the temple, will Christ come and start turning stuff upside down in a fit of cleansing anger? This holy week, let us be challenged to not be a part of the fickle crowd; rather, let us begin to reflect on who we are and what Christ is calling us to be. Let the things that need cleansing be purged from us, and let the Christ who would be king reign in our hearts forever. Lord, give me the strength to turn my heart over to you regardless of what the “crowd” is shouting. Turn the tables in my temple so that I may see the need to change and so that I may act accordingly. Amen.